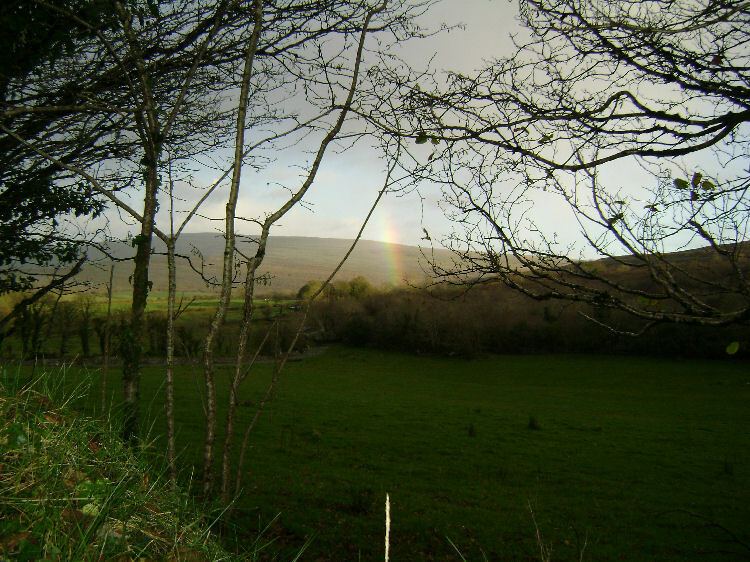 A recent trip to Ireland to meet with Jackie Queally of Celtic Trails coincided with the discovery of a major consciousness grid in the ancient area known as The Burren, situated in the county of Clare along Ireland’s mid western coast. Jackie was already familiar with the area, so was an excellent tour guide. 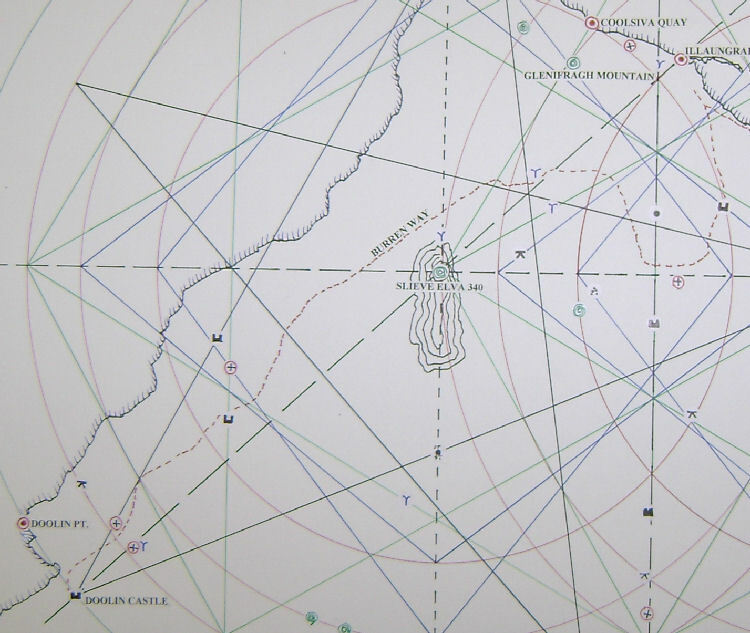 The route we took, the sites visited and stopped at was shown later to be involved in the geometry of the area. 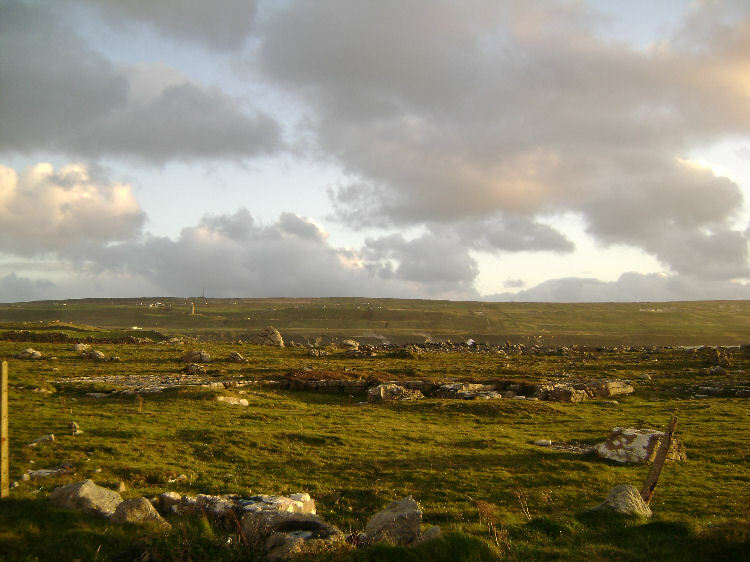 The Burren area, according to the local tour leaflet is said to cover 216 sq miles. This is an interesting figure and is related to the moon, the diameter of which is 2160 miles…2160 is also a precessional number relating to years spent in one age of the astrological houses ……2160 years being a precessional age . Working on consciousness grid usually throws up repeating sacred numerical values like 216 and others such as…9,18,36,108,216, 144 and 515 . Much numerical serendipity may then follow……..From the change you receive in a cafeteria or the time on your parking ticket . While researching or exploring consciousness grids it pays to be alert for the signs acknowledging what you are doing….they will show, if our subconscious inbox is open to receiving from the universe. It is advisable to remove all ‘spam filters’ from the frontal lobes before venturing into grid work. Not everything in our immediate surroundings is ‘junk mail’.There are signs, winks and nudges all around us from spirit if you know how to read the clues, usually laid in sequence before you. Ironically often the things our ego takes notice of are the things that are considered spam by the frontal lobes ;-)…This is usually what the ego may see as priority information relating to maintaining its place in residence within the host. Forget the maths, trying to understand the phi points and just enjoy the synchronistic ride…flow with spirit, and it will flow with you. The universe will respond through your own point of observation within the whole if you open up to it, that point of observation is THE GIFT…..and why we are here. We are part of the one consciousness that links everything to everything else. You are not separate from the universe, you are the universe. Composed mainly of Limestone some of the hills /mountains reach 300 metres in height, two of the highest peaks make the two centres on which the Burren geometry is based….Slieve Elva 340 mtrs and Ailwee 300 mtrs. For geologists the area is a real feast, with many examples of fossils along with evidence of rock erosion, glacial movement and deposits, naturally exposed for viewing and study. 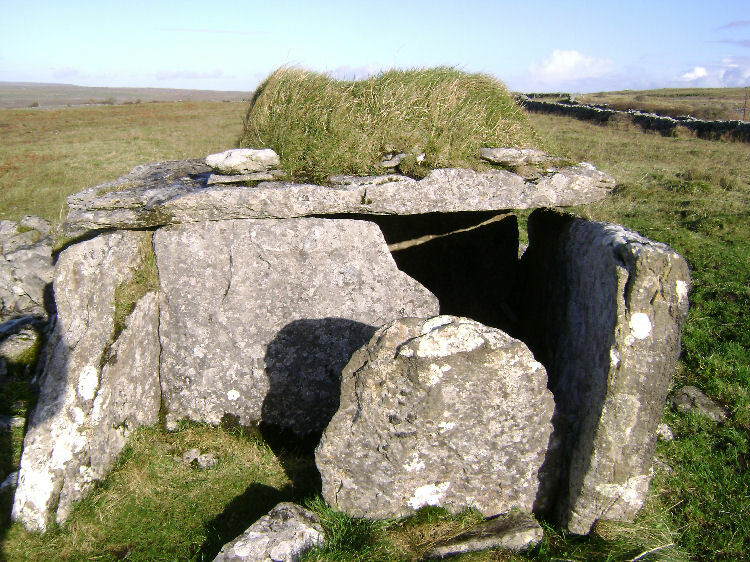 Within the Burren area is a record in stone of human occupation spanning over 6000 years. Dolmens ,wedge burial tombs, standing stones and cairns are all in abundance along with Holy wells and castles giving the landscape a timeless feel…which is also something felt at other energy/sacred sites including Temple Bruer and Temple Rockley near Avebury, Wiltshire, England. Templars in the Burren ? No Templar occupation in the area is known to me at the moment, although Corcomroe Abbey, which is involved in the geometry near the crossing point of two Gp 51.51 triangles, was founded by the Cistercian order in 1200 AD. The Cistercians being linked to the Templars through St Bernard Clairvaux who founded the order. Nearby at the crossing of one 51.51 GP line and Hex star line we have the site of the battle of Concomroe 1317. Several lines are converging in the area of the Abbey and the battle site which are both noted on the graphic . 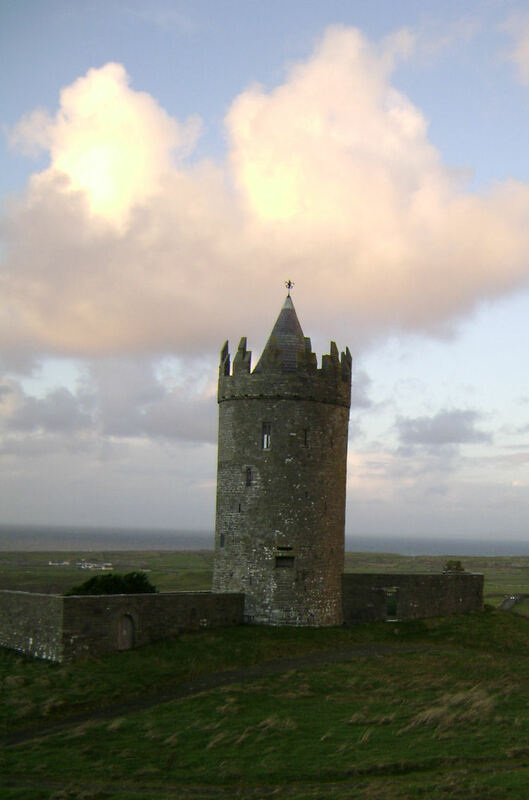 Journeying to the area for the first time I knew a grid would be there, as we travelled the twisty roads I was already being nudged to take note of certain major features one of which was the castle at Doolin, I was fascinated by the round tower and its views over the bay. By the time the geometry was complete the tower would reveal itself to be the very top point of the penta geometry . 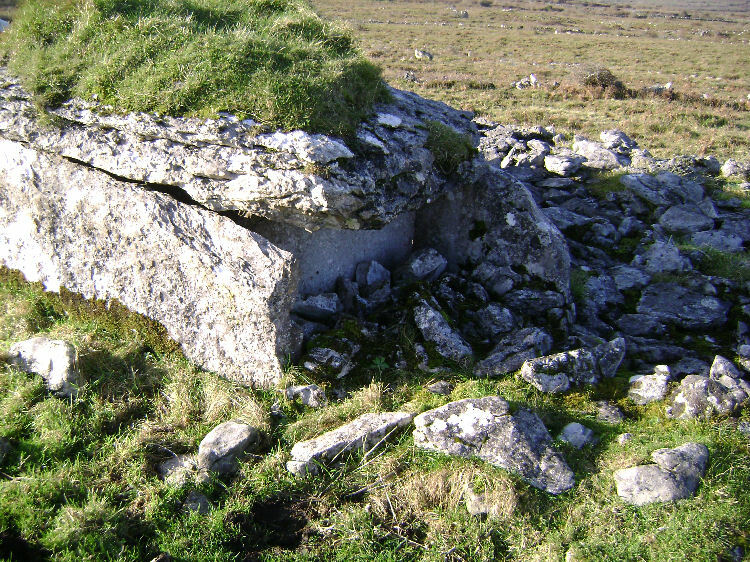 The Burren system is not a 5.15 system. 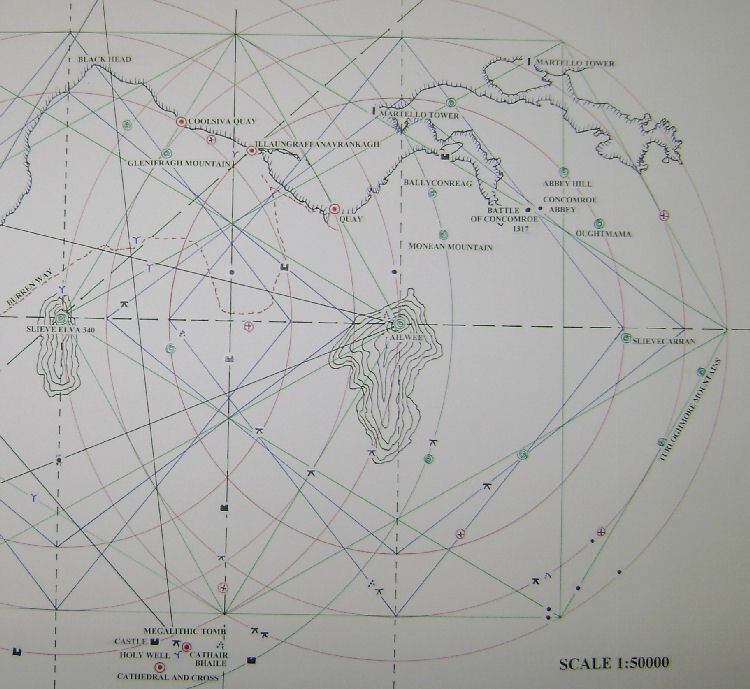 No 5.15 circle is present, however holistic earth / moon ratio circles are present…creating 8 51.51 GP triangles . 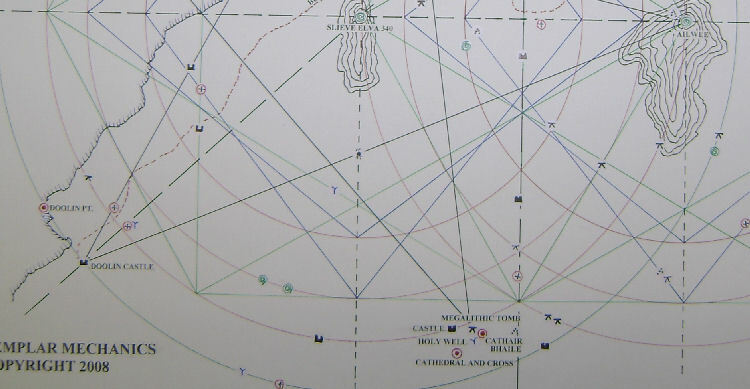 The circles involved came in at 277 mm, 355mm, 411mm…..with the larger west circle determined by the point of the penta at 475mm…..this circle is marked in green. 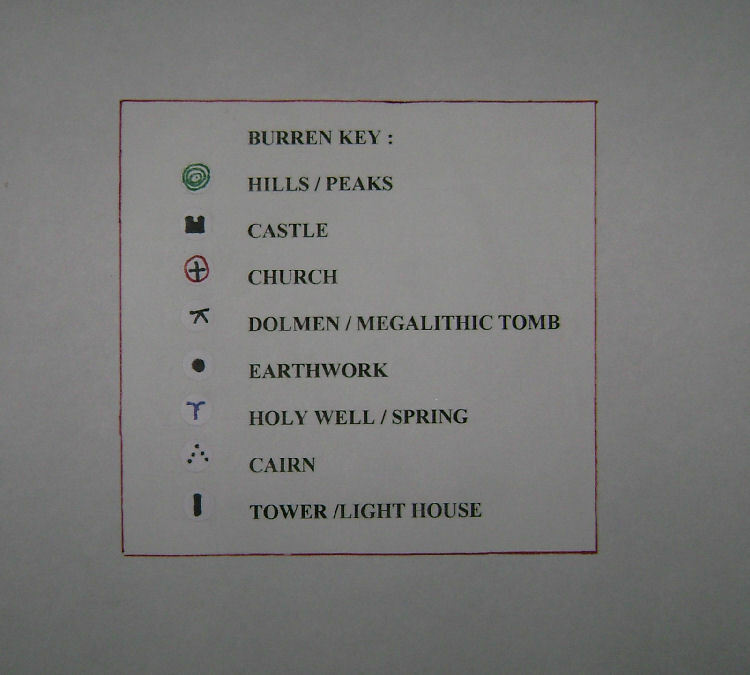 The Burren geometry may not have any 5.15 details in its main circle measurement or even in the penta ..what it does have is an abundance of features that link it to the the Temple Bruer geometry and in particular the penta found within it on the Lincolnshire heath. Both the Bruer and Burren penta s have 4 36 degree arms and one 40 degree top extended arm. Like Bruer one circle clips all the 4 36 degree arm points leaving the extended 40 degree arm outward bound and not willing to conform with the others, instead taking up residence beyond the circle at Doolin castle. 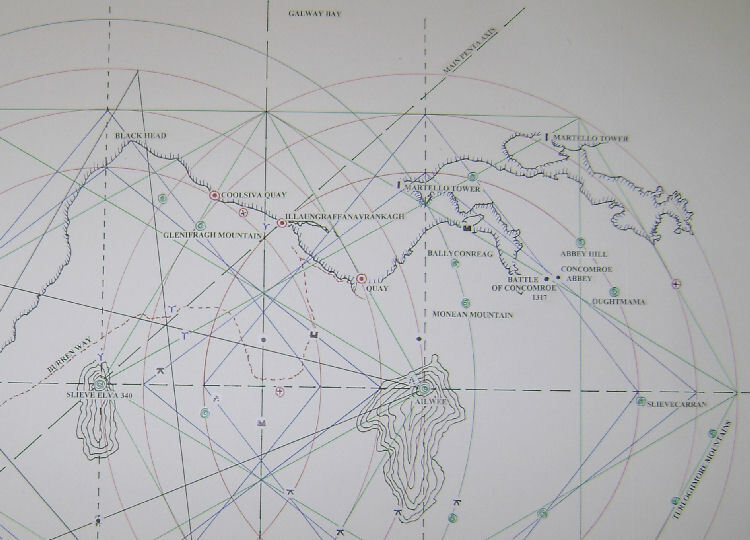 It wasn’t until the Burren area geometry was complete that I saw the links with the pathway and roads of the Burren system to the roads and pathways of the Temple Bruer system and how they interact with the geometry….especially the extended arm. See Bruer graphics – Warren houses / Knights templar tab. As you can see on the TB2 graphic the A607 comes in at the crotch of the Bruer penta and travels up the body before exiting near the break point on the circle edge, The Burren Way is very similar, the pathway entering the geometry near the crotch of the penta , exiting near the circle break and cuts back in to the castle at the top point marked by Doolin castle only after avoiding any meaningful interaction in the ‘exposed ‘ extended arm inner area. The Viking way which runs through the Bruer system does something very similar at the top point, it goes to the point then swings out and back in again near where the circle slices the extended top arm. 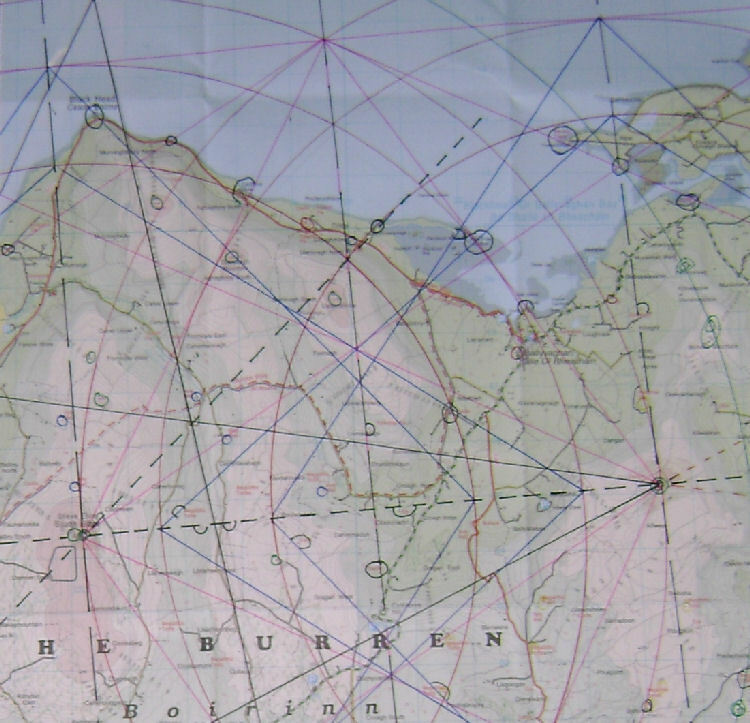 This is not to say Bruer is connected with the Burren system only that repeating dynamics and how the manifestations that run with the geometry seem to interact in similar ways suggesting rules as to how these things work and what it will allow and where…..again suggesting an organizing intelligence. Other grids on Templar Mechanics show footpaths and ancient trails weaving their way around the geometry, converging at certain points and avoiding others. Although the ‘Burren way’ enters near the crotch point, a country lane for the car next to the Burren Way is exactly on it, weaving as it enters …as though affected by the energy at that point. This would be another interesting point to visit. The A607 rises up a hill at the same point in the Bruer geometry making a left and right turn on entering the village of Wellingore. A holy well is also situated nearby and is another area I would like to visit when I go back. 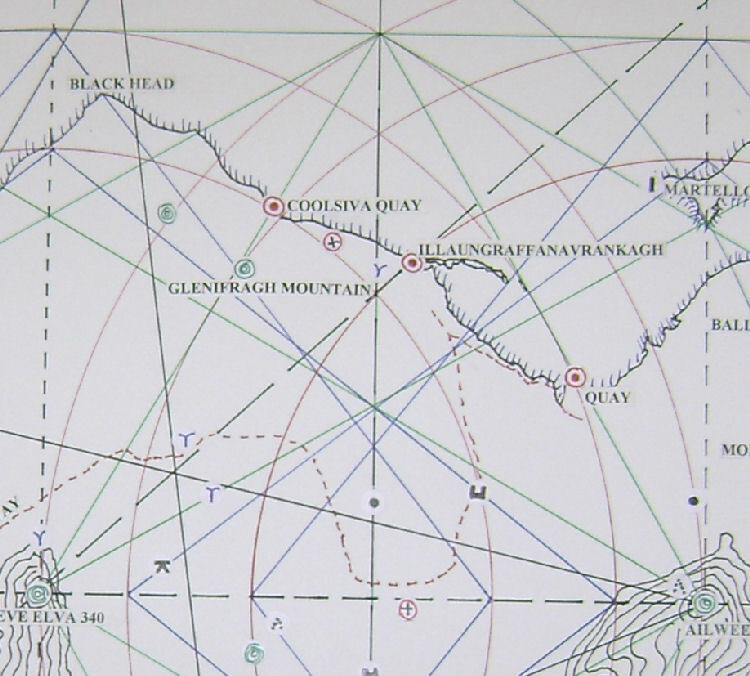 Two other quays along the same stretch of coast also fell in with the lines of the geometry…marked as red dots. Doolin Castle – Extended Penta arm . 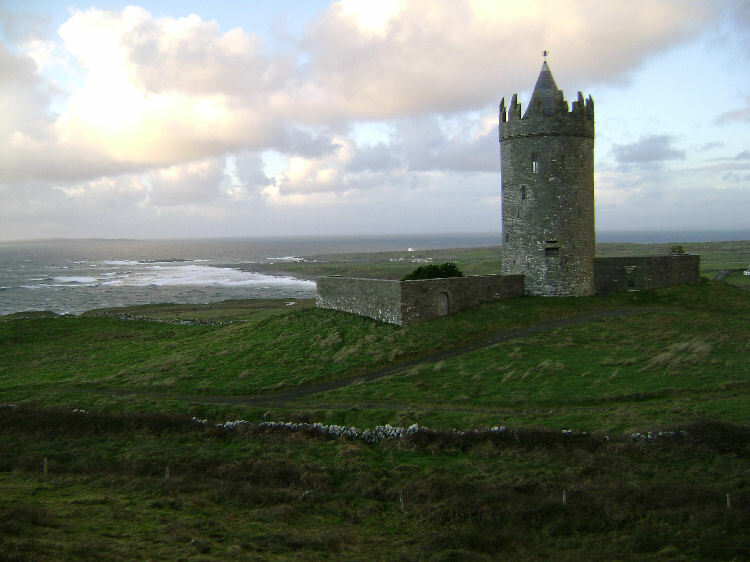 Doolin point can be seen beyond the castle below. 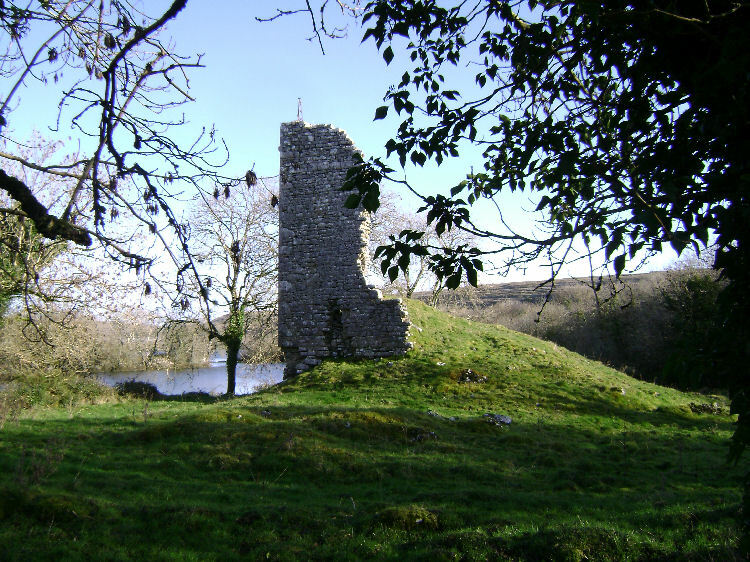 The Doolin castle circle if continued further passes through Ballyconreag and Monean Mountain, a megalithic tomb, another major hill, a castle and a church. The penta arms consist of 3 that are land based, the other two situated in the Atlantic. 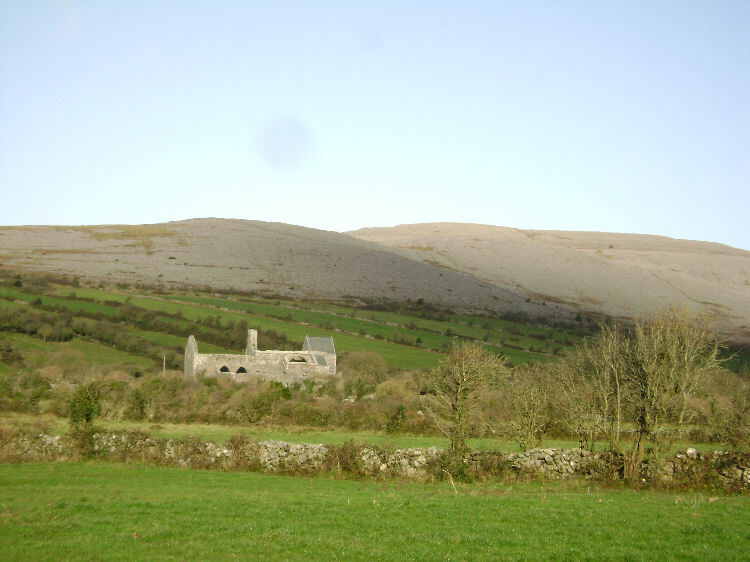 Two of the land points are Doolin castle at the top arm and Ailwee mountain which is also the centre of the east system. The third land based arm shows a collection of interesting manifestations, which I have labelled. 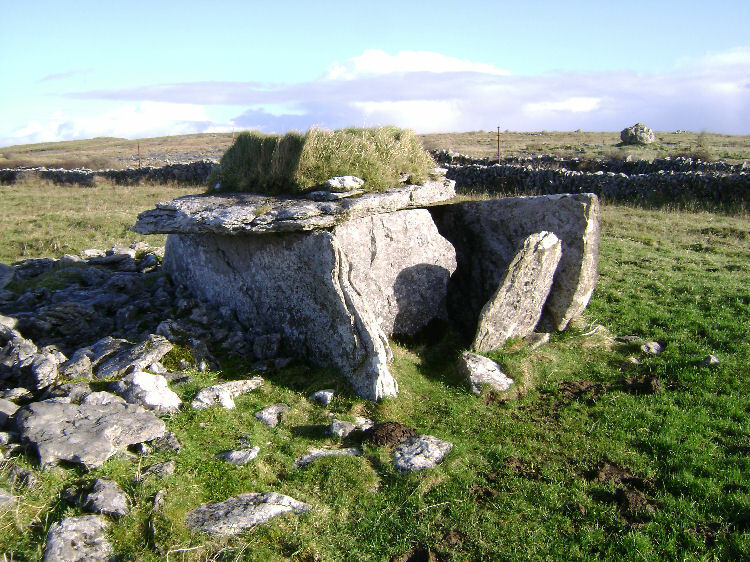 Nearest is a megalithic tomb, a holy well, CathairBhaile, Castle , Cathedral and cross……..all these rest in an area around the third land based penta arm. Both East and West circles have the same hex systems based around the same circle radius , a six pointed star or seal can then be drawn connecting the points , these then merge at the two centres of the geometric East /West systems…..Slieve Elva and Ailwee mountains…creating one of the six points of the star as they do. 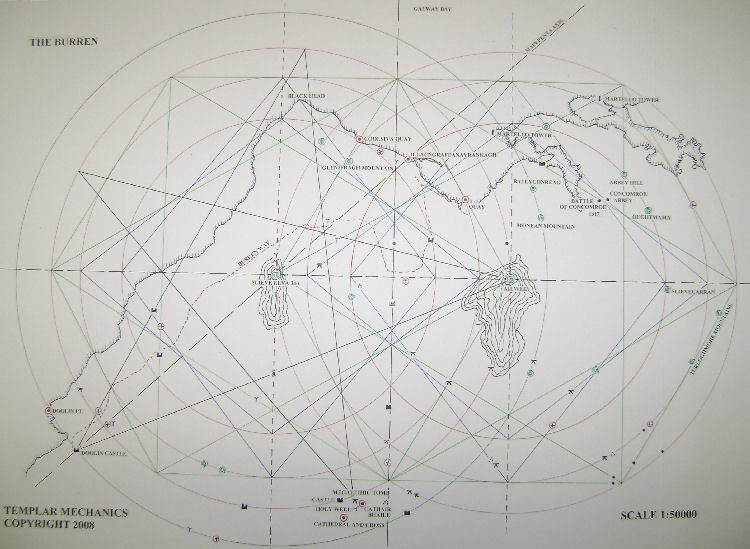 Following the Hex lines will then show what has manifested within /on the six pointed seal lines of geometry…including many notable land features such as Turloghmore mountains, here the line of the geometry actually runs with the peaks illustrated by the two green hill/peak icons placed on the hex line to the East . The very last thing to be done when a grid is complete is two extend the penta axis to see if it goes to anywhere of note or even links to another grid already researched. Extending the Burren main penta axis through google earth saw the NE axis line go directly to Alvdal /Trondjell Holy mountain in Norway. This is where both the recently completed Royston 5.15 grid penta axis points into and also the penta axis of the Glastonbury /Temple cloud 5.15 grid…These can be viewed inside Templar Mechanics off the Knights Templar tab. At Alvdal lives another author called Harald Bohelke who has written a book about a pentagram discovered in the Landscape in Norway. The book is called the Viking Serpent….and comes highly recommended for anyone interested in exploring other peoples work on landscape geometry and in particular extended pentagrams. Details below. The Viking Serpent , Harald Boehlke. Jackie has informed me another researcher has come forward with information suggesting the monks within the Burren area visited Norway and that they left from the port Doolin. More coincidence….. If there is such a thing .